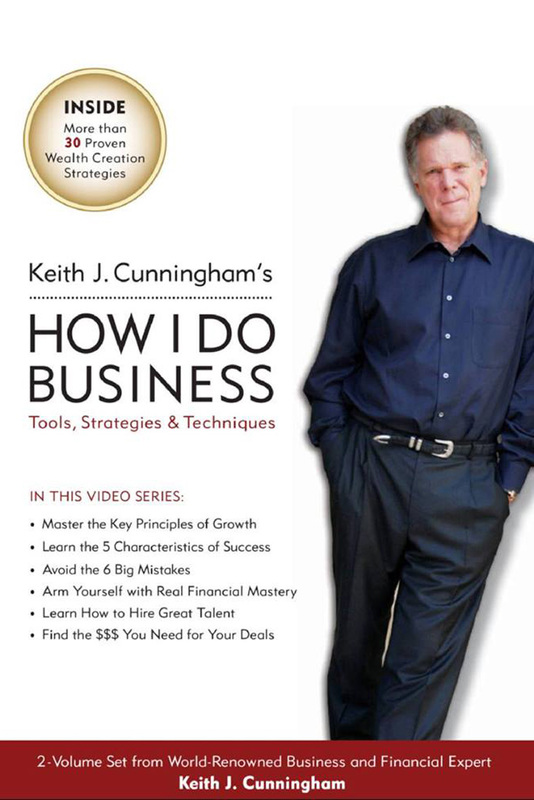 K eith J. Cunningham’s How I Do Business is a breakthrough video program that lays out proven strategies for creating the wealth you deserve. This powerful program is packed with actionable tips and strategies you can apply immediately to your business and your life. ASK ? KEITH contains 14 CDs: If you had the chance to ask one of the world’s leading business experts one question about your business or business idea, what would you ask? This series includes 11 interviews and 2 live presentations. "More than 30 Proven Wealth Creation Strategies."